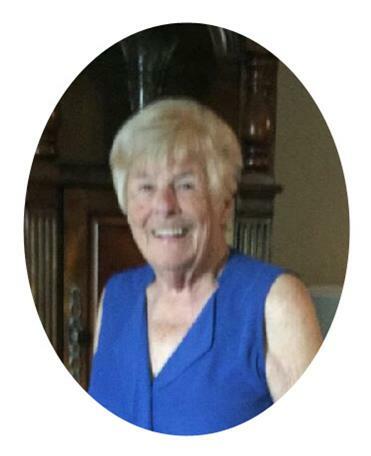 Mrs. June Huffman-Kappler of Parkland County, Alberta, (formerly of Tilbury, Ontario and Crystal Beach, Ontario) passed away on November 5, 2017 at the age of 79. Born in Tilbury, June moved to Ridgeway as a child and later to Crystal Beach where she spent much of her life and raised five children. She moved to Tilbury in 1983 and later to Alberta to be close to family. June will be lovingly remembered by her sons Kenneth (Susan), Carey, Richard, Donald, Christopher (Joyelle), and their families; her stepsons Daniel (Jan), Ken (Jennifer), Bill (Sharon), John (Lisa) Kappler and their families; her brothers Ken (Carol) and Rick (Jan) Beselaere; her twin sister Joy Minor, sister-in-law Pat as well as numerous nieces, nephews, grandchildren and great-grandchildren and friends. June was predeceased by her husbands Dnald Huffman and Emil Kappler, her parents Catherine and Richard, sister Donna, brother Douglas, granddaughter Kara June as well as her brothers-in-law Paul and Allen. A celebration of life will be held in Tilbury at the Tilbury Legion at 11 a.m. May 27. Inurnment will follow at Ridgeway Memorial Cemetery at 3 p.m. on May 28.